NECKLACE - JOAN RIVERS. 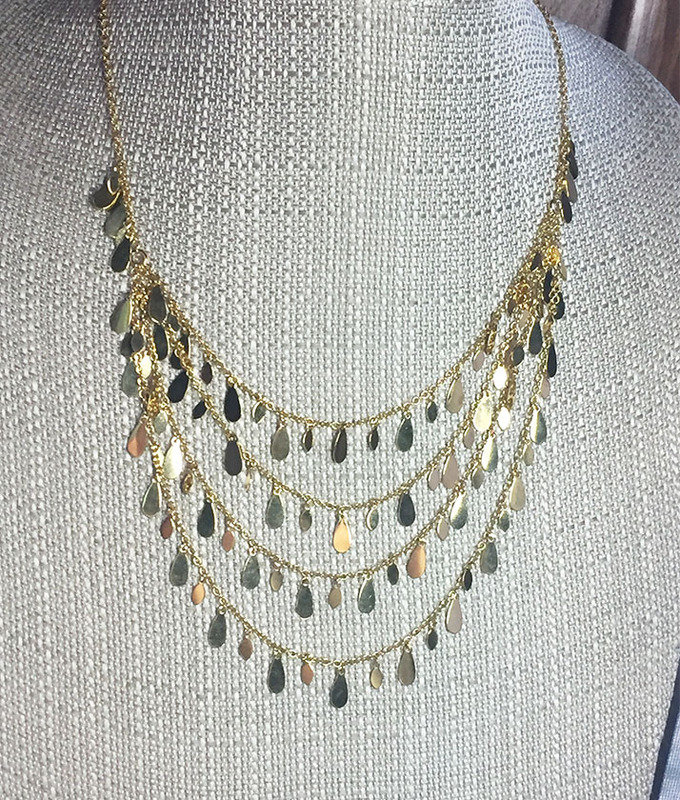 STUNNING 4-STRAND SHINY GOLDTONE TEARDROP NECKLACE. TEARDROP CHARMS ARE FLAT AND REALLY CATCH THE LIGHT. SHORTEST STRAND ISADJUSTABLE FROM 18" TO 21" LONG. 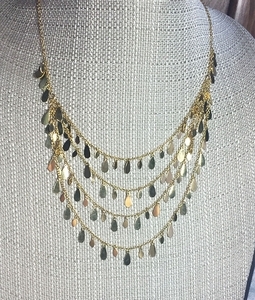 THE DRAPE IS ABOUT 3 1/2" LONG, DEPENDING ON THE SIZE OF THE WEARER'S NECK. VERY GOOD CONDITION!